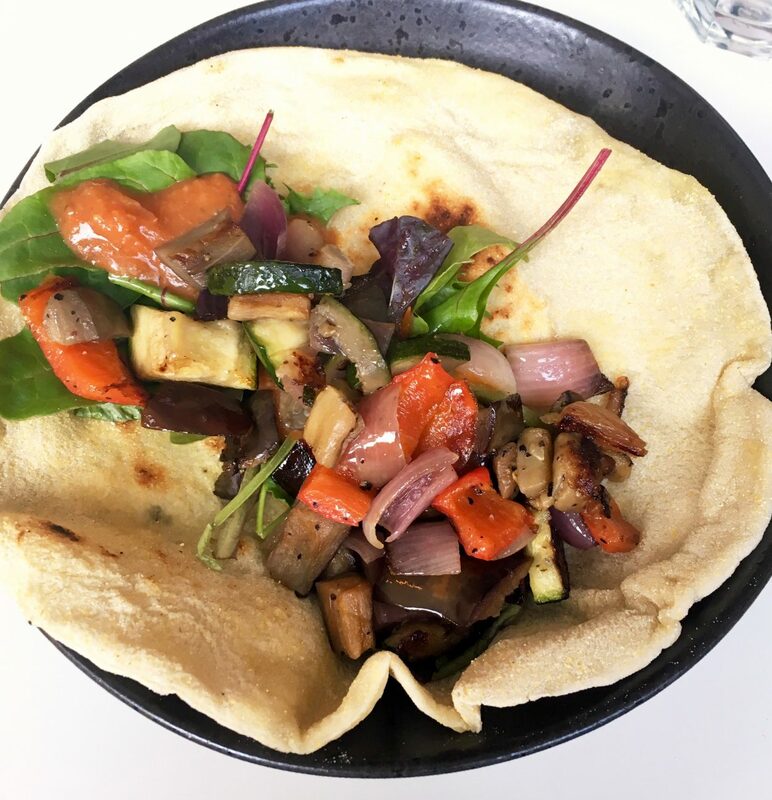 I have reviewed Firenze Nantwich before when I went for a work meal during Veganuary. They were so accommodating and basically said if there’s ingredients I like they will get them in specially and make something for me. We had a great meal then so when I heard they’d had a refit I decided t go back for a family meal for my birthday. We were the only people there when we got there at 1pm on Saturday which could have felt quite awkward but the waiter was there when we needed him and left us to it the rest of the time (nothing worse than feeling like you’re being watched when you’re eating)! The new decor is beautiful and with the sun shining I felt like I could have been abroad on holiday! I really liked the original decor which was dark and classy so I was surprised that I liked this change to a bright and colourful atmosphere. The chairs are my favourite colour so that gets a big thumbs up from me! They have a bigger vegan menu now which is great, especially the choice of desserts although I’d obviously made a special cake so we skipped dessert for a slice of cake and cup of tea at home. We had a good mix of tastes around the table from me being vegan, my husband and mum only occasionally eating meat to my dad who thinks it’s not a proper meal without meat (my sister is probably the most normal out of all of our food preferences which she will be pleased to hear I’m sure!) There’s was something for everyone on the menu though. 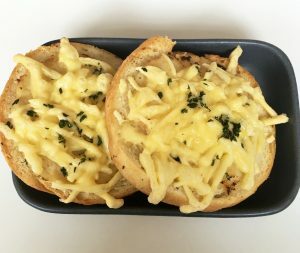 We all had starters – Mum and Dad had crab cakes which looked delicious, Alice had garlic prawns and Billy and I had cheesy garlic bread (mine with vegan cheese of course). It was very tasty and had I had a side of chips it could have been a meal in itself as it was filling. Even the ciabatta was nice. I’ve been to places before and the bread that goes with vegan meals is like a rock so I was really impressed. For my main I had a roasted vegetable flatbread which came with a few chips. I was tempted to order a side of chips because ‘a few’ chips is never enough but there was actually a lot more than I expected. The roasted vegetables were courgette, red onion, aubergine and peppers and it also had a tomato sauce and some leaves (possibly rocket or spinach I’m not sure). It was pretty messy but as Alice, mum and Billy were having a burger we all decided to get stuck in and not worry about the mess. Mums burger looked particularly interesting as it was a mushroom with a slice of breaded halloumi. Dad had Thai green curry with chicken skewers which was delicious apparently although it had a kick! We had a really nice meal and I will definitely be going back with my work friends soon! I’m still raving about the Crab Cakes today. They were absolutely delicious. I would go back again just for them!